This print did Amy no favors. It also didn't seem glamorous enough for the Oscars. 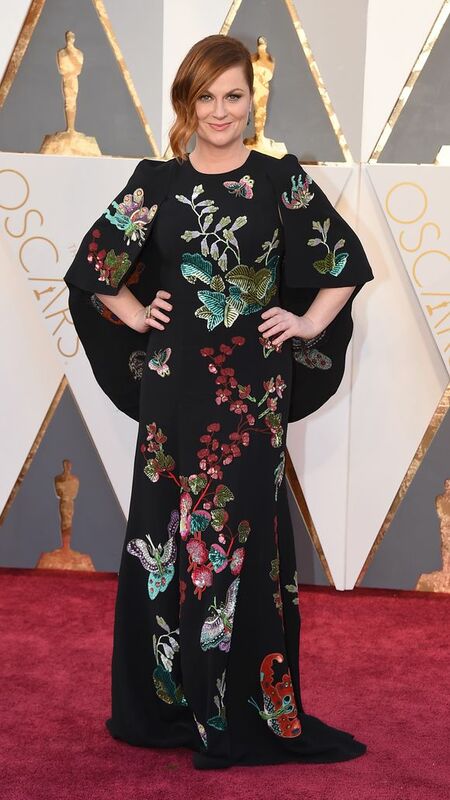 I love Kate but I didn't love this dress. She is usually so glamorous and stylish on the red carpet. This dress though... at one point I thought it was made out of plastic. I think her hair and make up looked great! Who did you love at this year's Oscars? I Think the necklace was hanging a bit too low on Charlize, it got lost in the v of the dress. As for Kate Winslet, she did what Margot Robbie did, had the same crap hairstyle they have every other day of their life and so ruined the overall look.